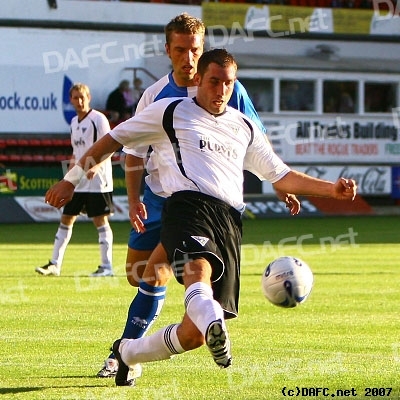 The first pre-season home game saw the visit of Football League One Side Bristol Rover to East End Park. Pars striker Tam McManus twice give the lead to the Pars only for Bristol Rovers to come back to force a stalemate to 2-2. Support in the Norrie McCathie Stand. Tam McManus enjoys the first goal with team-mates.